What's Wrong with a Christmas Tree? During the December 10th City Council meeting, City Council members proudly described their visits to various Christmas events, including the lighting of the Citrus Heights Christmas Tree. The Citrus Heights Community Center is festooned with brightly lighted Christmas Trees, some of which are topped with a bright star, representing the biblical symbol that led the three wise men to the manger in Bethlehem. Regretfully, at a time when it was most necessary for our civic leaders to speak up, not a word was spoken about those that do not celebrate Christmas. Today, Christians in cities such as Kobani and Palmyra in Syria and Fallujah, Tikrit, Hawijah, and Mosul in Iraq cannot celebrate Christmas, something that we take for granted. Our Civic leaders have forgotten those that do not celebrate the Christmas holiday are now being attacked here by the same type of criminals who would deny the celebration of Christmas abroad. In the last few weeks, criminals attacked and killed 14 individuals in San Diego. The news described these individuals as “Islamic Terrorists.” The media created fear has resulted in as great a tragedy as the deaths in San Diego, violence against both individuals and houses of worship. Too many have forgotten that we are a country of American-Christians, American Natives, American-Jews, American-Muslims, American-Hindus, American-Sikhs, American-Wiccans, American-agnostics and American-atheists, but a short list of American diversity that goes on endlessly. The singular most important fact is that we are ALL Americans. Although the United States Supreme Court has barred religious symbols from government offices, the Citrus Heights Community Center, just like public museums, can and should have invited and welcomed educational displays at this season for all cultural and religious groups to remind us of the most important requisite of a successful democracy, tolerance. Freedom is defined by tolerance of that with which we disagree and guaranteeing the safety of those non-violent individuals with whom we do not share common beliefs. We must never accept “If you tell a lie big enough and keep repeating it, people will eventually come to believe it” (Joseph Goebbels, 1941). It is important that the President of the United States remind us that all Americans have worth. It is far more important that municipal leaders speak out because, although as adults we may understand why we only see decorations associated with Christmas, for children it can be but another form of bullying, no different than children being taunted because of their appearance. Our Council members must inform the community who do not celebrate Christmas that they have the same worth as those that do, especially the children, and lead by example for those that look with distrust upon them. Those who wrap themselves in the robe of religious zeal to justify violence in fact deny the essence of all religious beliefs. Every religion and every individual who lives by a moral code that in some manner denies the existence of a greater power or organized faith share one common premise: the importance of human life. Those that murder in the name of religion are common criminals prostituting the ethical and moral values of the faith they assert is the basis for those actions. Our civic leaders have the moral and ethical duty to lead by example by acknowledging those in our community who do not celebrate Christmas, for the sake of our children, to assure that they respect and are respected by all and to prove Joseph Goebbels was wrong and demonstrate the failure of attempts to terrorize us by demonstrating tolerance in Citrus Heights. 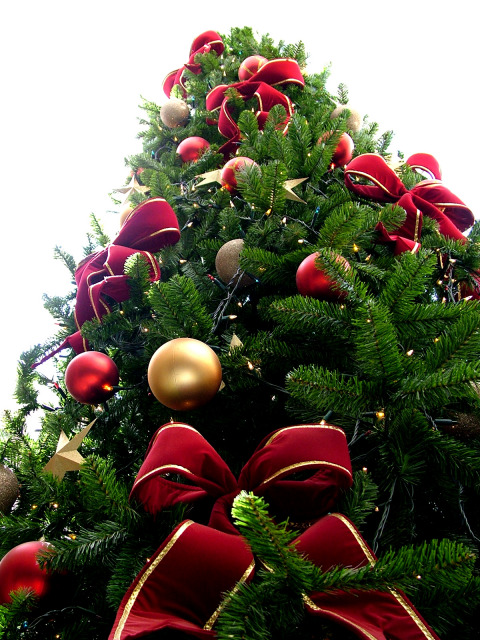 There is nothing wrong with a Christmas tree, so long as we recognize those that do not use one. For all, have a happy and healthy new year. David Warren is a legislative advocate at the State Capitol with Taxpayers for Public Safety and can be reached at David@forpublicsafety.com.